Apple announced that HomePod will launch in Canada, France, and Germany on June 18th. In preparation for that, today’s update for the device enables language support for Canadian English, French, and German. 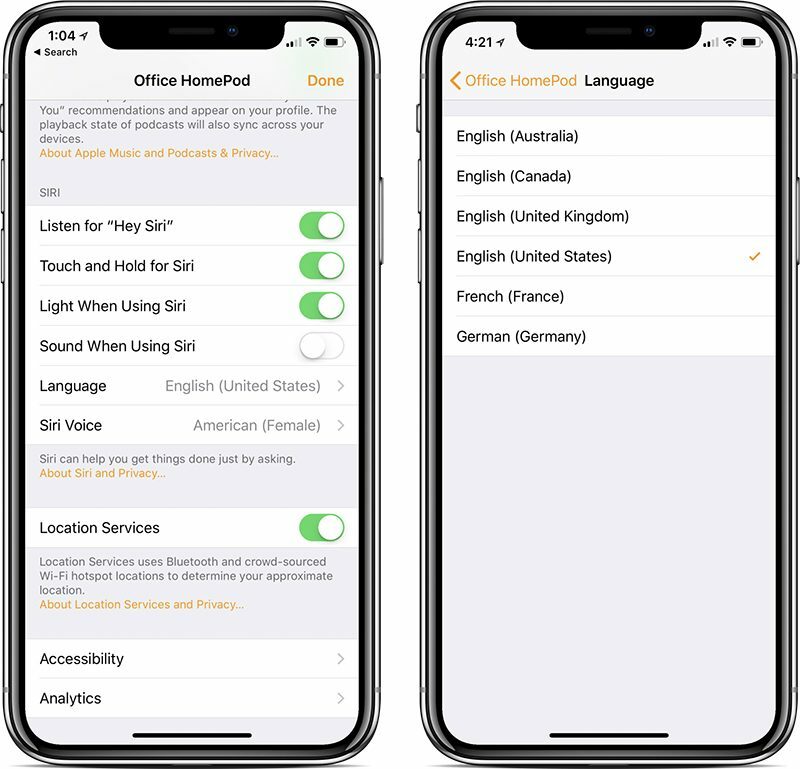 Because of the new 11.4 software update for HomePod, Siri now is capable of speaking in French, German, and Canadian English in any region, including the United States. Canadian French will be added in a software update later this year. Users in the three new HomePod countries will also need to wait a bit longer for calendar support, which was another new feature added as part of today’s update. To get the language update feature the user needs to update to the latest software. However, the new software update should be available to the HomePod automatically after updating to iOS 11.4 on a paired iPhone, iPad, or iPod touch. In case some users aren’t getting the automatic update, they can install the updated version of the software manually. To do that the user just has to update it through the speaker’s settings in the Home app. Once you have updated the app you can change the default language setting to anything you want. To do that, open the Home App on the paired iPhone, iPad, or iPod touch running iOS 11.4. after that, 3D Touch or long press on the HomePod’s icon. Once the pop up appears, tap on details and then finally tap on Languages. There you will see a list containing six languages, including the older available langue options of U.S. English, U.K. English, and Australian English. You can now tap on the desired language and choose it as the default speaker language. Apple has said it will release support to multiple languages by the end of the year. The support for Canadian English hasn’t been established properly with certain users finding it hard to operate the HomePod. However, Apple has ensured of updating the language pack before the end of the year.